Disney’s sweetened offer for Fox does not extend to the UK pay-TV group’s other shareholders. Britain’s Takeover Panel could fix that by requiring the Magic Kingdom to pay up if its takeover of Rupert Murdoch’s empire succeeds. Unusual circumstances justify the intervention. 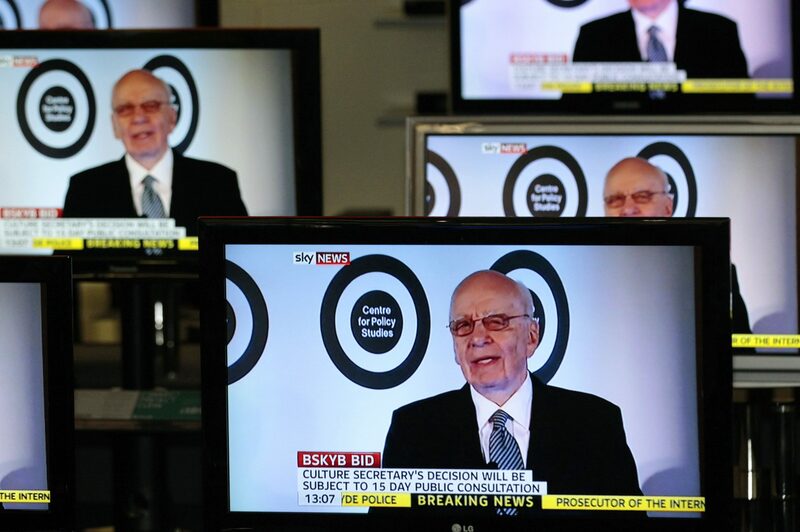 The Chairman, and Chief Executive of News Corporation, Rupert Murdoch is seen talking on Sky News on television screens in an electrical store in Edinburgh, March 3, 2011. Britain’s Takeover Panel on June 28 said it was considering whether Walt Disney would have to make a higher offer for Sky after raising its bid for Twenty-First Century Fox, the pay-TV group’s main shareholder. The M&A watchdog in April ruled that Disney must offer to buy the rest of Sky if it completes its acquisition of Fox assets including its 39 percent stake in the UK broadcaster. That ruling would apply unless either Fox or Comcast succeed with separate offers for Sky. At the time, Disney had agreed to buy Fox’s entertainment and international assets for $52.4 billion in stock. Comcast subsequently offered $65 billion in cash for the same assets, prompting Disney to hit back with a $71 billion part-cash, part-share bid on June 20. Disney on June 25 published updated Sky EBITDA forecasts which were as much as 27 percent higher than its original estimate. Fox has offered to buy Sky for 10.75 pounds per share, while Comcast has separately offered 12.50 pounds per share. Sky shares closed at 14.60 pounds on July 4.